Today's post is all about navy blue, which is also known as the hottest colour of this season. 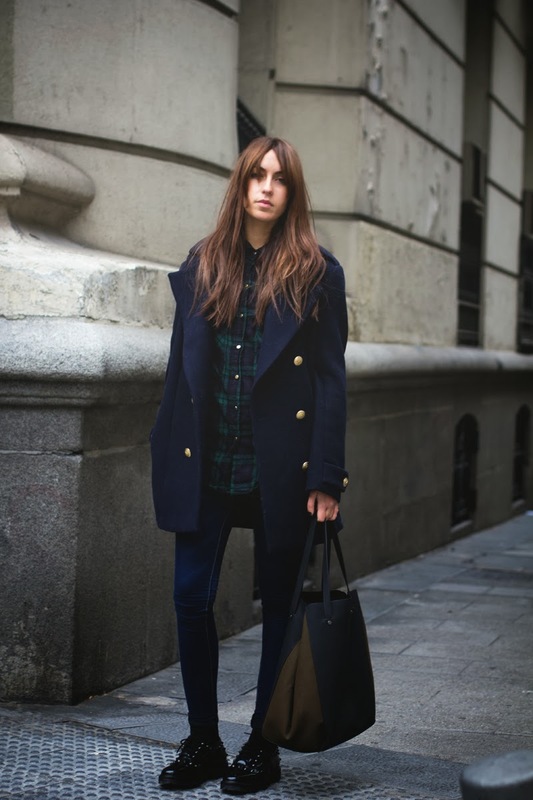 Navy blue is such a classic and sophisticated colour, that can look elegant on -pretty much- everyone. It's only a touch softer than pure black, so if you are the "i-always-wear-black" type of girl, then this is probably the best time to add some navy blue details to your wardrobe! 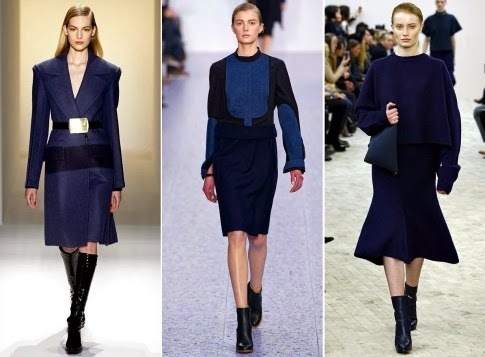 Feel free to try a navy blue coat,sweater,skirt or jacket, like the models at the runway shows. 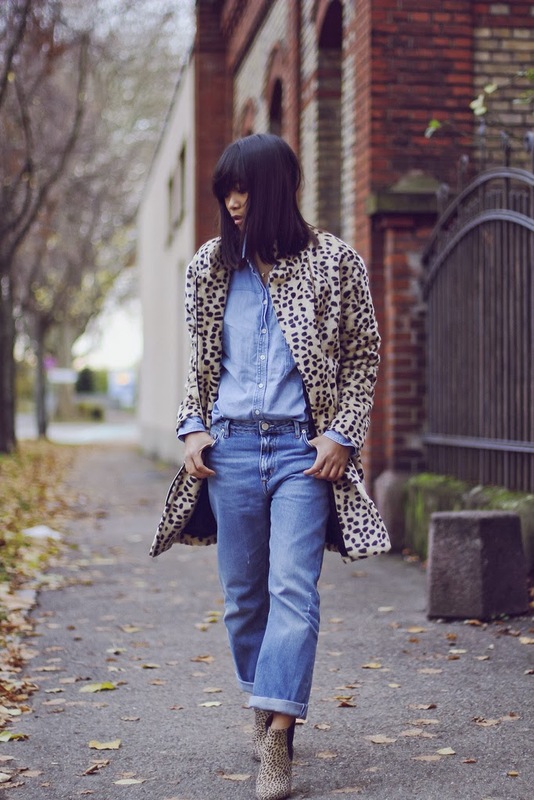 It looks amazing with all shades of grey and brown, but if you wanna take your outfit to your next level, pair it with the good old leopard print, and create an unexpected -but still really chic looking- combination! Thanks for reading everyone...! Till the next post, take care...! 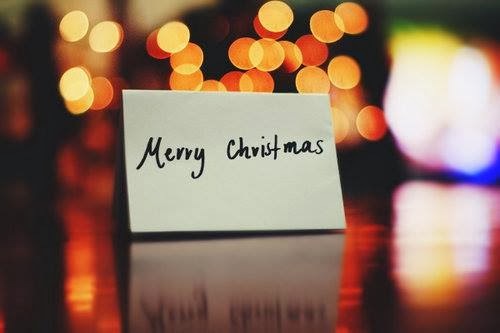 November is about to come to an end and December is just around the corner... (oh, i can't wait for Christmas!). So, for this month instead of writing an "Inspirational Pictures" post, i thought i would change things up a little bit by uploading a "November's Street Style" post, where i share with all of you -some- of my favorite street style looks of the month! If you wanna get inspired, then just take a look at the pictures down below! Thanks a lot for reading everyone! I hope you found this post interesting and inspirational! I truly believe that it is really interesting to see what celebrities wear on the red carpet and at special events, but, what i find even more interesting is what they wear on their actual everyday life. Their outfits are effortless and casual, but still, realy trendy and chic. So, today i am gonna write about Rachel Bilson, whose style i find pretty cool and cute! Navy blue is definitely one of the hottest colours of this season, and a navy blue blazer is such a cool way to adort this colour trend! Pair it with a camel brown crossbody bag, and finish your look with some neutral (white,denim,beige) details! Olive green looks great with grey and brown, so why don't you try pairing your military jacket with a grey handbag and a pair of brown ankle booties...? This outfit is edgy, but still very cute and feminine! 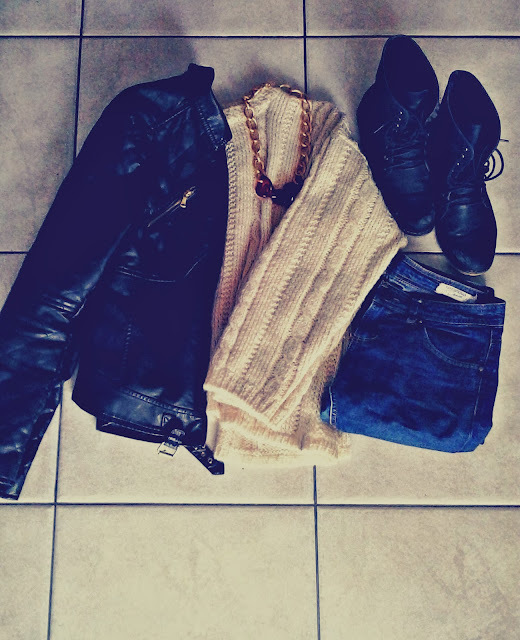 This outfit is all about basic pieces: a denim jacket, a white top, a pair of black shorts and black tights, and -of course-, a pair of black combat boots! 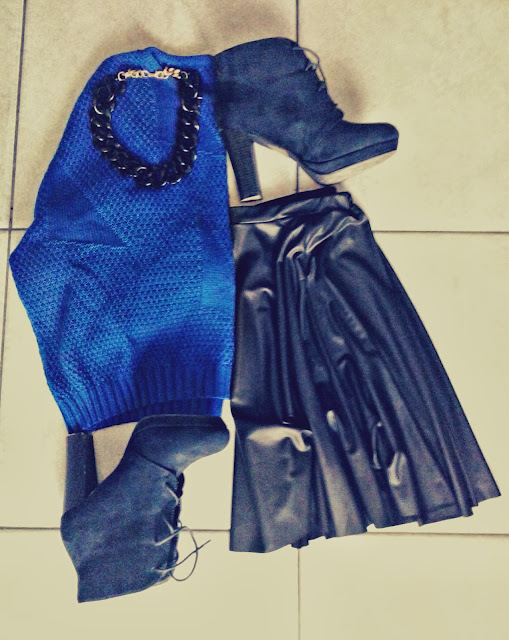 It is a super-easy-to-put-together outfit, so why don't you give it a try...? A cardigan is a great alternative to your everyday leather jacket, plus, it will keep you extra warm and cozy all day long! 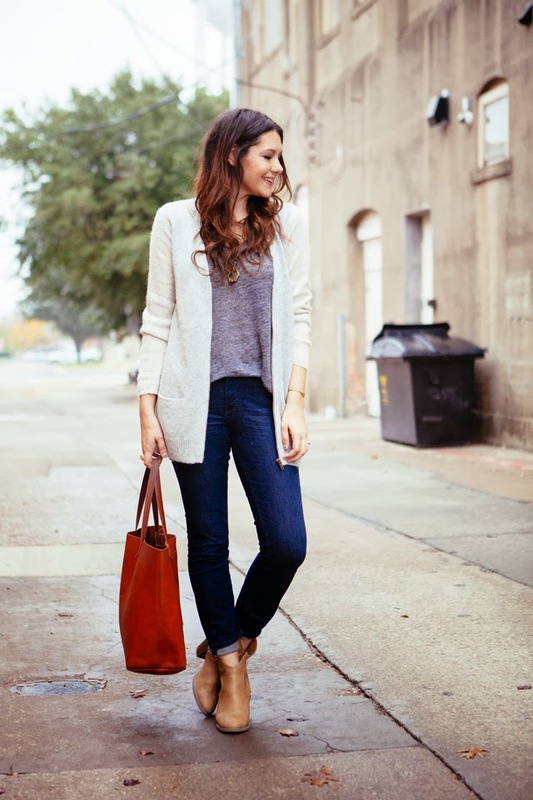 If you own a grey one, pair it with a brown handbag and a pair of your favorite ankle boots. Keep the rest of the outfit simple and neutral (white top-denim pants), and you are ready to go! A chunky sweater is an absolute must-have piece for the winter time, so grab one from your closet, pair it with your favorite boyfriend jeans, finish your outfit with a pair of lace-up booties and you are done! So easy, so chic! Thanks a lot for reading this post! P.S. "JustSmileWithStyle" is on bloglovin! If someone would ask me about the hottest prints of the season, plaid would definitely be at the top and houndstooth would come after. 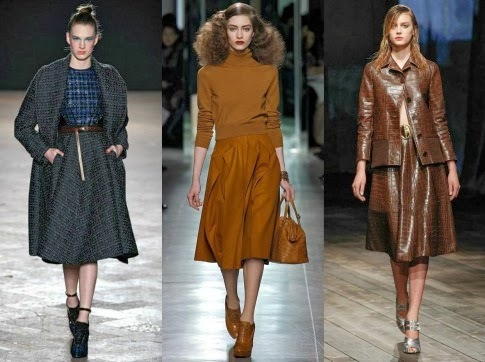 Houndstooth print was spotted at the runway shows mainly on coats, pants, skirts and sweaters, as well. It originates in Scotland in the 1800's and it was originally worn by women of the upper class. Even though its traditional colours are black and white, feel free to experiment with other colours as well, and create a unique and diffrent look! Here's where you can get them: 1, 2, 3, 4 and 5. 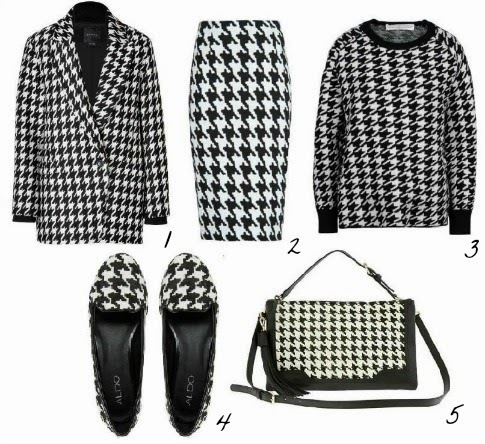 Need some ideas on how you can style YOUR houndstooth printed items...? 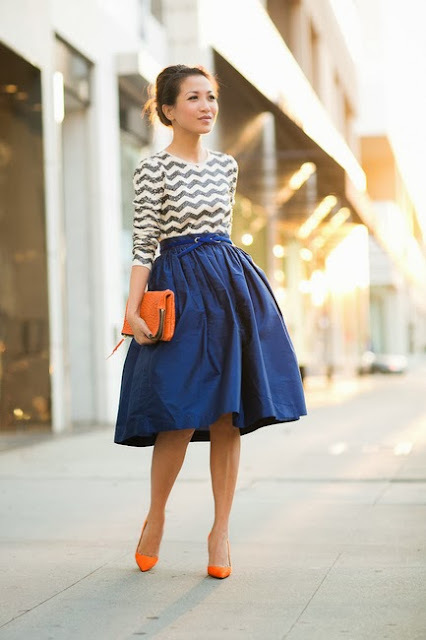 Get inspired from the amazing fashionistas down below! Thanks a lot for reading! Till the next post, take care everyone! As some of you might already know,there is a fashion "rule" that goes something like this: "Never wear white after Labor Day", meaning that you shouldn't wear white pieces after the first Monday of September, because at that time of the year autumn is just around the corner, so you should probably start wearing darker colours like black, grey, burgundy, and -of couse- stay away from white! But, are there really "rules" in fashion...? Well, i don't know about that, but THIS i can say for sure: "White could totally be worn during the winter time as well. 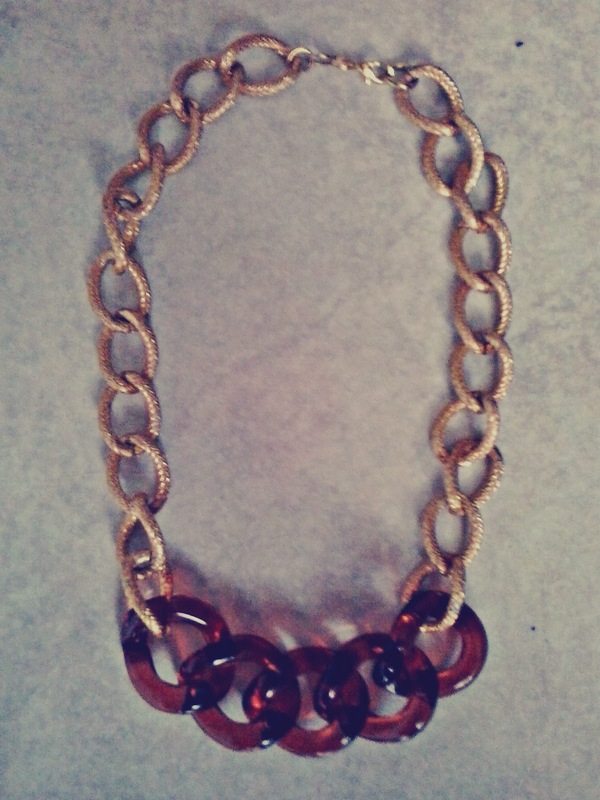 It will make any fall outfit look fresh, chic, and much more interesting! Every single girl should own a pair of white denim pants. 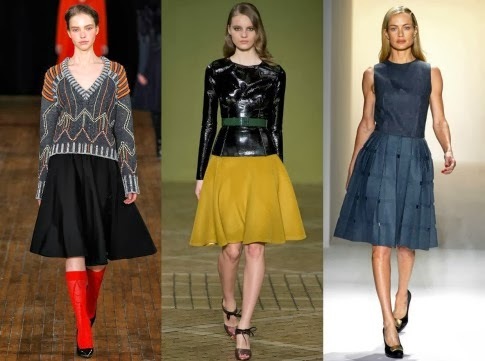 During the summer you can style them in so many different ways, but during the fall try pairing them with dark colours, in order to achieve an interesting colour-contrast! It is no lie that you can never really go wrong with the super classy and super chic combo of black and white. But, if you wanna take your outfit to the next level, try holding a burgundy bag, and add an extra glam to your look! If you own a white skirt that you really enjoyed wearing in the summer, then i 've got some good news for you, girl! 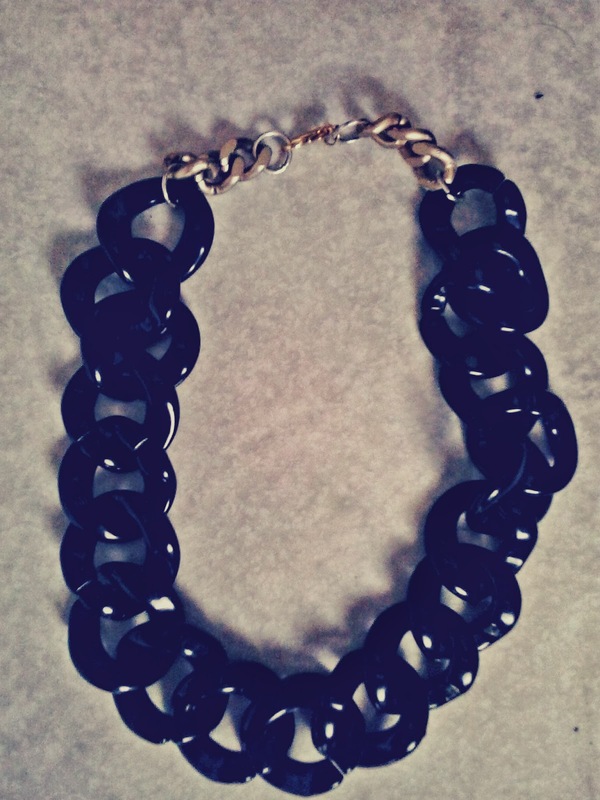 You can totally keep wearing it, but now, pair it with some winter-y colours, like black and grey! When the temperature drops and the weather is super cold, a fur coat will definitely become a good friend of yours! 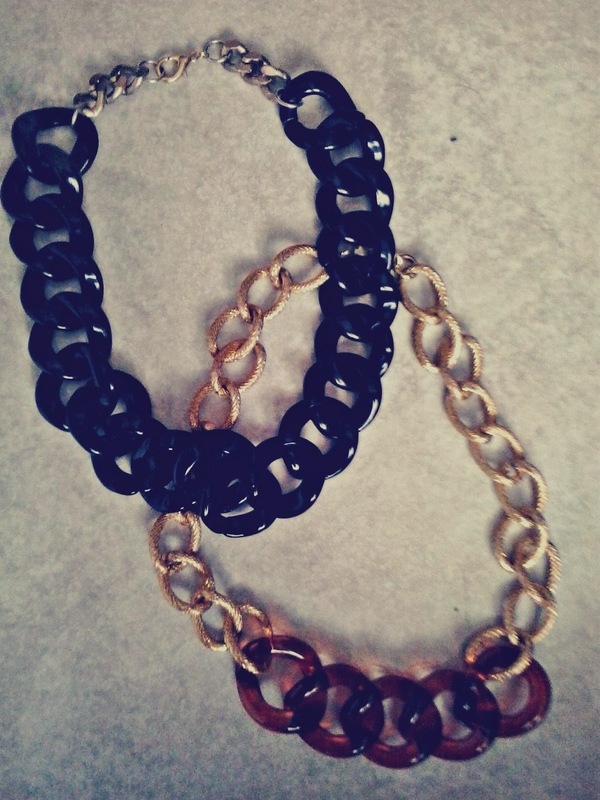 It will keep you warm and cozy, plus, it will instantly make your outfit look chic and classy! So, that's all for today's post! I hope you enjoyed it and found it helpful! Also, don't forget to follow "Just Smile With Style" on bloglovin!